I loved the service I received when I purchased an engagement ring from you and I have recently had to send it back for repair. You have once again proved that you deserve your outstanding reputation. Fantastic service and communication, very very impressed. 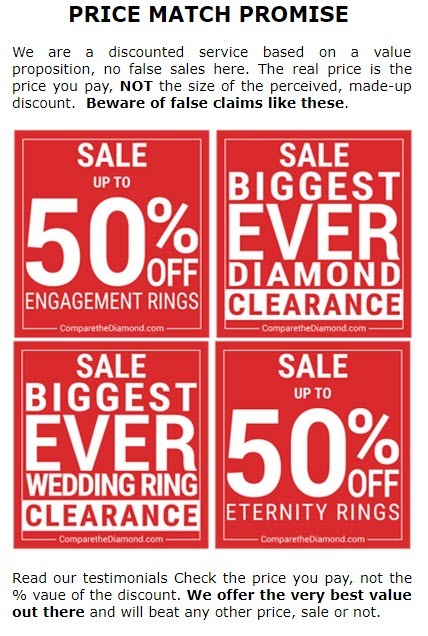 It’s lovely to get such good customer feedback from our ComparetheDiamond.com (formerly diamondgeezer.com) customers time after time. We love to know that our engagement rings are not only making one, but two people happy!Take a look at our testimonials to see just how great our customer feedback is!